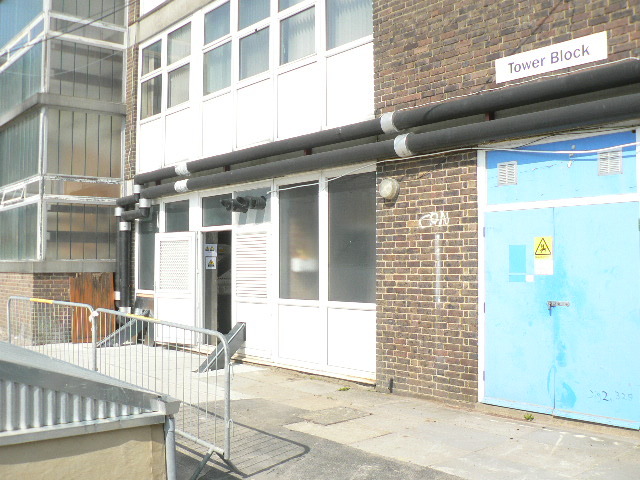 Beacon College is a thriving specialist sport, science and training community college in Crowborough, East Sussex. 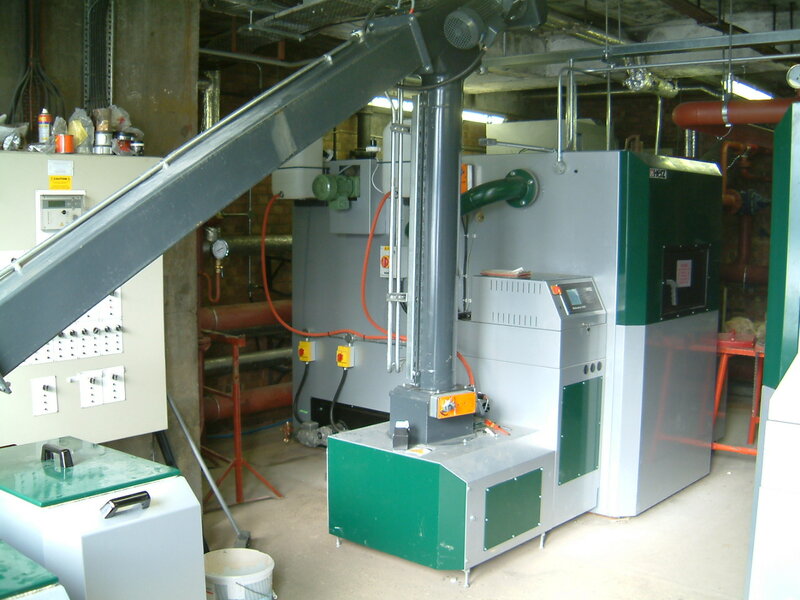 A project to provide heating and hot water at Beacon using renewable energy was put into action during 2006 and twin 500kW Herz Biomatic boilers were retrofitted into the existing plant room at the college by Rural Energy. 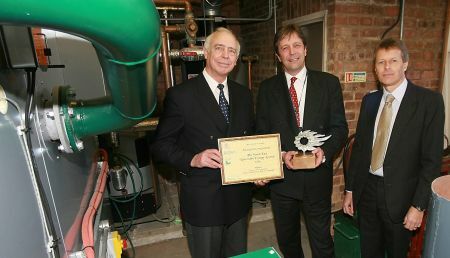 The school is now home to 1MW of renewable biomass heating. Working with design consultants Hoare Wootton, Rural Energy provided valuable design assistance and fuel handling advice during the pre-tender stage. Mechanical and electrical services were provided by Southern Heating, with Rural Energy providing biomass system assembly, commissioning and maintenance services. The system features a unique vertical elevator, transporting fuel from the subterranean bunker at an angle of 30° for a distance of over 8m. This allows the twin 6m diameter spring agitators within the bunker to be laid flat, maximising fuel storage below ground and enabling tipped fuel delivery without the construction of a ramp. Together the boilers supply the entire heating load for the building. As the boilers are linked using the Herz cascade control system, the master boiler can predict when the slave boiler will be required via the buffer management system. The result is far superior load profile matching. This also means that if one boiler is experiencing any issues, the second can fill into its role and provide heat – gas backup isn’t needed with this set up (a similar system is used at Highfield & Brookham Schools). In addition, the lead boiler is automatically switched periodically, ensuring even distribution of both wear and fuel usage between the two boilers. All of this is made possible by the advanced Biocontrol 3000 integrated controller, supplied as standard across the range. Leading councillors and officers at East Sussex County Council and school staff at Beacon College celebrated after picking up a prize at the South East Renewable Energy Awards ceremony, held in Brighton, for this installation. 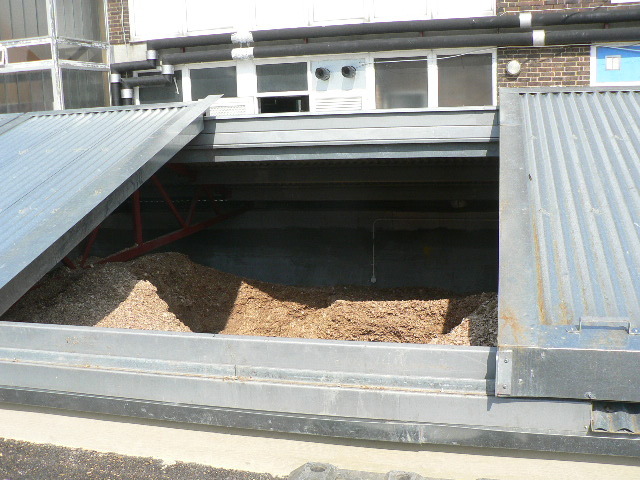 Wood chips from local suppliers, sourced from sustainable woodland, are used at Beacon as fuel for the boilers. The scheme will reduce carbon emissions by 600 tonnes per year compared to the current oil fired system and save the school money on its fuel bills.